The Dynamic Duo, Susie and Carol, are the Pioneers of Partnership in the Flathead Valley and surrounding areas. Their dedication to their clients and to each other has made them the Premier Real Estate Team. Prior work and life experiences have taught them that customer service and satisfaction create the necessary foundation for any worthwhile endeavor. They are so confident in their ability to exceed their clients' expectations, that they actually guarantee their service. They are proud of their reputation of providing outstanding customer service. They are committed to a standard of excellence that not only their customers, but their peers will acknowledge. Their enthusiasm and the personal touch are hard to find in this hurried and often impersonal culture. They embrace their motto, "The Power of Two...Working for You!" 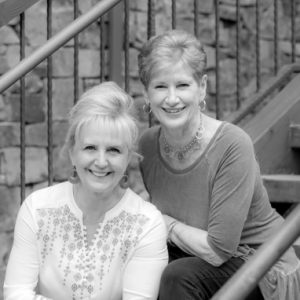 Susie and Carol are both Brokers and are truly, always available. While Susie is a native Montanan, Carol traded corporate life in the East for the Flathead Valley. In 1993, they met while operating successful bed and breakfast inns with their husbands. There they learned the true value of listening when assessing a customer's needs. In Real Estate, their team approach is designed to use their combined knowledge, experience and skills to provide the expertise and superlative service customers and clients deserve. Most of their clients become good friends...could there be a more telling testimonial? Please call them and let them re-introduce you to an old fashion, never-goes-out-of-style, work ethic. You can count on The Dynamic Duo to find the solution that best achieves your real estate needs.